“ARTIST” Defo-Real figures are unique and artistic soft vinyl statues featuring accurately sculpted, oversized heads on realistically proportioned bodies. 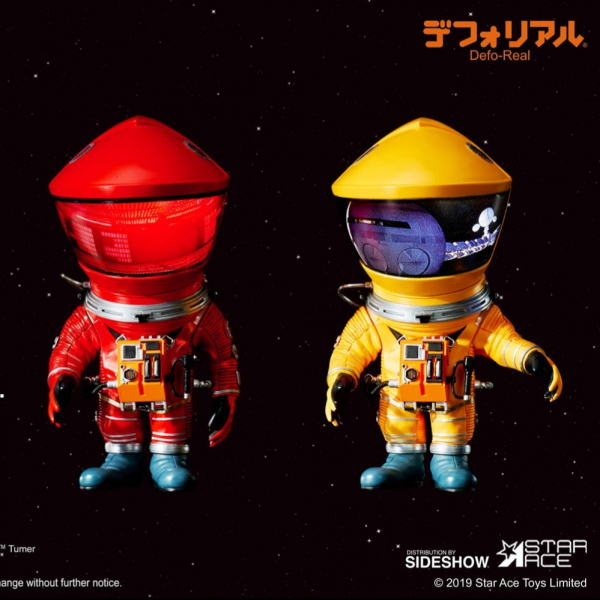 The DF Astronauts are about 15 cm (6 inches) tall with space suits and helmets with authentic details modeled directly from the film. Iconic images from 2001 will be seen reflected in the helmet visors.